Several new judges were sworn in, with many new terms starting September 1. See pictures from several of the swearing in ceremonies here. 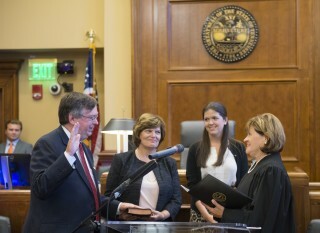 Davidson County Chancellor Bill Young is sworn in by Chief Justice Sharon Lee in Nashville.